We are grateful to these individuals and businesses of their generous donations. If presented with the opportunity, please support our sponsors. 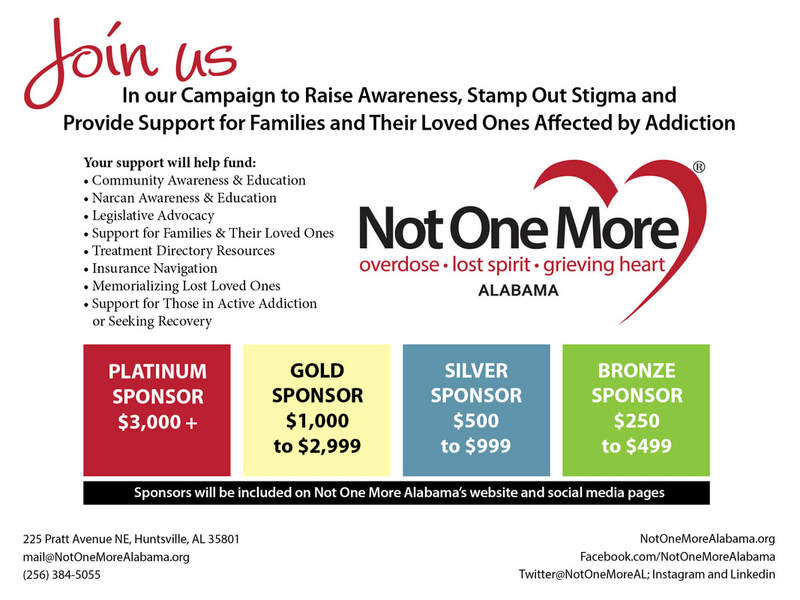 In-Kind Donations - We are grateful to the support of our community for the many services, products and materials that have been donated to NOMA in support of our End Heroin HSV Walk and other programs and projects. If you are interested in a Corporate Sponsorship, please see below. You can donate through our online donation tool on our "donate" page or mail in a check and indicate that you would like to be a corporate sponsor. We appreciate your consideration of Not One More Alabama in your giving.